The perfect ‘home away from home’ in the Peak District. 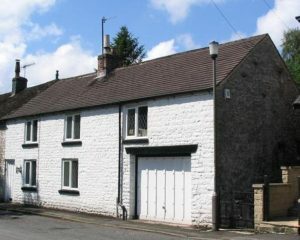 Welyarde is a delightful dog friendly cottage in the Peak District – a perfect base for your holiday. Located on a quiet road on the edge of Tideswell the cottage was built in the 1800’s, originally as three separate cottages with a farmer’s field behind it. 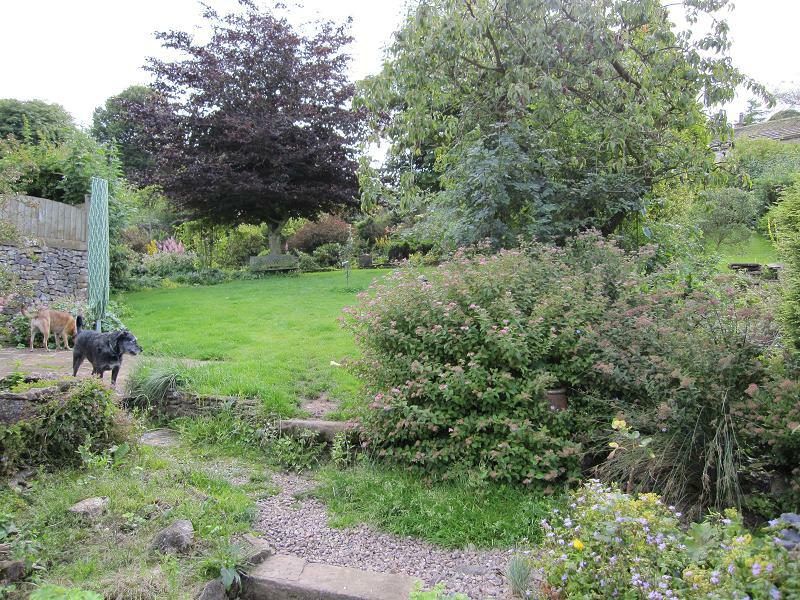 It is now a single cottage with three bedrooms, and the farmer’s field has become a beautiful landscaped garden. 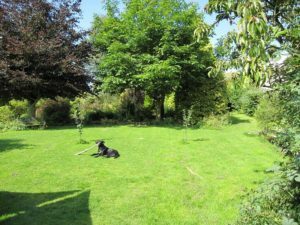 At the far end of the garden (with its own separate access) is The Old Piggery – an equally dog friendly cottage with fabulous views. With access to some excellent walks from your door, Welyarde is ideally situated for walkers and all those who enjoy the outdoors, yet is only a three minute walk to the village centre. Here you will find a thriving range of facilities – including shops, churches, a cash machine and Post Office, three dog friendy pubs, three excellent cafés (two of which allow dogs) and two traditional Fish and Chip shops. For more information about Tideswell, and why it is a great location for your Peak District holiday, see here. But don’t just take our word for it – Your Dog Magazine think it’s pretty good too! Read a review of dog friendly cottage Welyarde which featured in the May 2012 issue here. Welyarde is perfect for couples, families or groups of friends. Sleeping 6 in three double bedrooms. For more information about what the cottage has to offer, please see here. Some cottage owners tolerate dogs (provided they don’t go upstairs, sit on the furniture, bark, drop a single hair etc etc.). We’re different. At Welyarde, we truly welcome dogs. They deserve a holiday as much as you! To find out why your dog(s) will enjoy their stay at Welyarde, the most dog friendly cottage in the Peak District, see here.